Phonographic Copyright (p) – Art Yard Ltd. Copyright (c) – Art Yard Ltd. 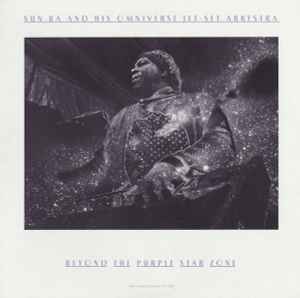 This recording was originally released on the El Saturn record label, # 123180, and was recorded on 26-31 December, 1980 at The Detroit Jazz Center. Re-mastered at Technology Works. Cut at Alchemy. ℗&© by Art Yard Ltd. and Enterplanetary Koncepts. Printed and manufactured in the EU. © 2006 Art Yard ltd.
Matrix / Runout (Run-Out Side A): ARTYARDLP005 A.
Matrix / Runout (Run-Out Side B): ARTYARDLP005 B.